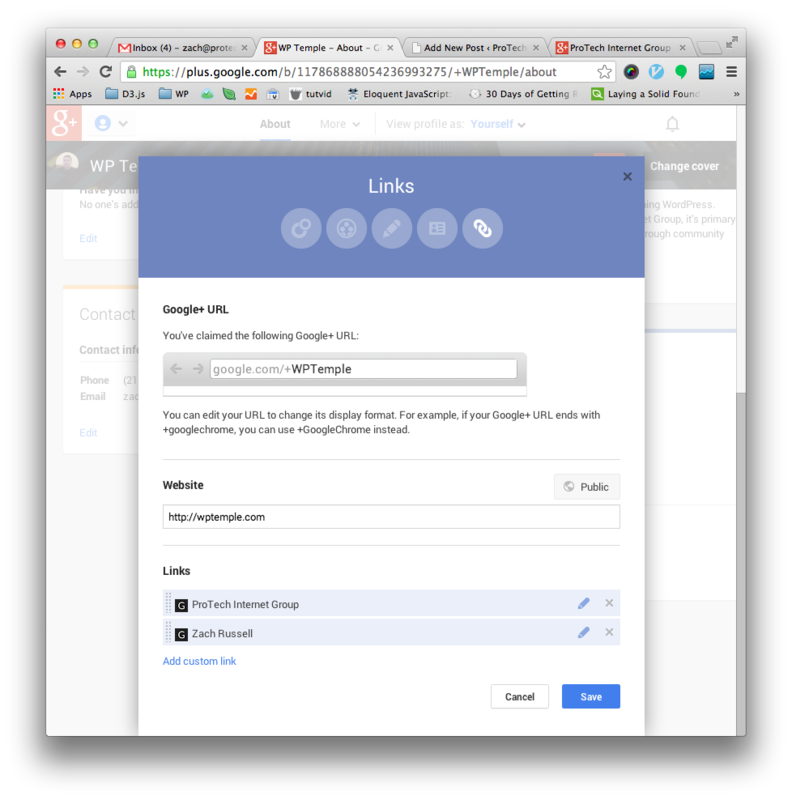 Google has finally released the ability to have custom URLs for Google+ Pages. This applies to individual pages, verified local business pages and verified nonlocal business pages. Now instead of using unnecessarily long URLs to access Google+ Pages, they are now accessed right at the Google domain, google.com/+ProTechIG, for example. First go to the about tab of your Google+ Profile. Then click on the edit link the Google+ URL section and change the case to whatever appeals to you. Note: The URL changes aren’t immediate. It can take up to an hour for it to reflect in the browser.